The issue of where to shop for clothes is one that has plagued so many generations of young shoppers, and the present one is no exception. Among the names often up for contention are H&M and Forever 21, and their focus on cheap and stylish clothes make them a great place for deals in the fashion market. Here we compare the relative advantages and disadvantages of both stores. In terms of quality, H&M has the definite advantage over Forever 21. While Forever 21 does have the advantage of generally lower prices, the better overall quality of H&M’s merchandise makes the extra cost more than worth it. That being said, H&M’s clothes aren't exactly models of durability either. As with many of today’s retail lines, some of H&M’s merchandise is a bit on the flimsy side. Not to the same level as Forever 21 mind you, but enough to remind us just how dismal the state of the retail clothing industry has come in the past several years. 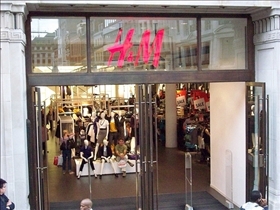 In any case, H&M’s products do offer a significant enough quality advantage to warrant the slightly higher prices. In terms of style (which is a subjective enough criteria to begin with), H&M again appears to have the edge over Forever 21. Forever 21 tends to feature products that are on the decidedly flamboyant and frivolous side of the spectrum, which is probably best suited for girls of a younger age and those with more carefree sensibilities. As for H&M, its product lines lean more towards the classy, and they have a number of stylish outfits and ensembles that are suitable for a wide variety of situations. H&M also offers clothes that while not overly stylish, will probably stay in fashion a lot longer than the trendier numbers in the Forever 21 lineup. In terms of variety in the product line, Forever 21 finally takes the lead over H&M. But wait, quantity does not always equate to quality as well all know, and a closer look at the Forever 21 offerings show that while the product line is indeed extensive and varied, many of the items are simply not up to the standard of H&M, and some are downright unwearable! 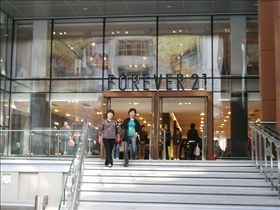 Many of Forever 21’s merchandise items are sold at cut-rate prices, and unfortunately, it is easy to see why. H&M, on the other hand, offers enough variety without sacrificing the quality and style of their products. Able to accommodate a wide range of tastes and situations, H&M is clearly leagues ahead of the competition, regardless of price. Which shop usually has better fashions?